Early morning, around 6 or 7am, we were already in the outskirts of Beijing. The landscape changed again. Although my favorite is when the scenery is covered in snow throughout Siberia, the scenery here in China was also very impressive. There were mountains towering close to the train, with valleys and a river running through. We were chugging along the river, passing by small farms and plantation. The trees were also blossoming with pink flowers everywhere. 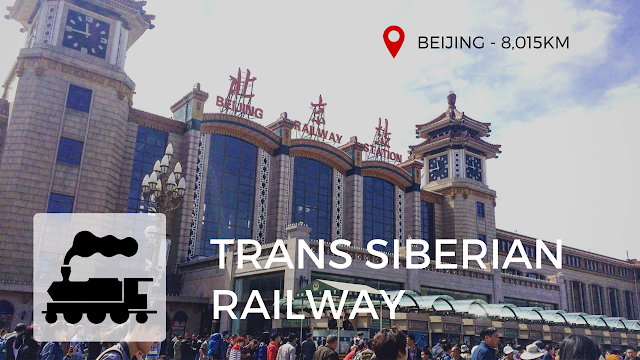 We passed by a few massive stations near Beijing, and finally arrived at Beijing Main station. This is the most crowded part of the trip, I can feel the power of China’s population of 1+ billion. I quickly found my hotel, which was right across from the main station, checked in around 1pm and took a quick shower. 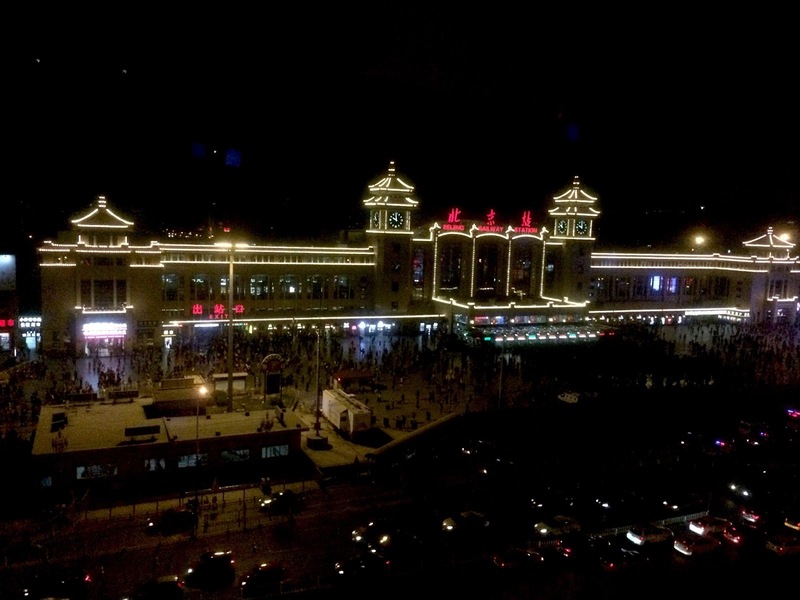 The hotel was in a really convenient location, right inside a mall where it’s connected to the subway and there’s also a supermarket and lots of other shops. The metro was also really crowded. As it's the capital city, security is high. To enter any subway station there’s security check like at airports where your bag gets scanned, if there’s water you’re asked to take it out and they scan it with another device. I bought a subway IC card to save time queuing up for the machines. Surprisingly, people riding the subway in Beijing were really nice! Before getting off, people will go towards the door. And if I’m in someone’s way they simply ask “Getting off? Do you mind if we swap places?” This is not only really civilized and polite, but also it’s much more efficient when there’s large stations. 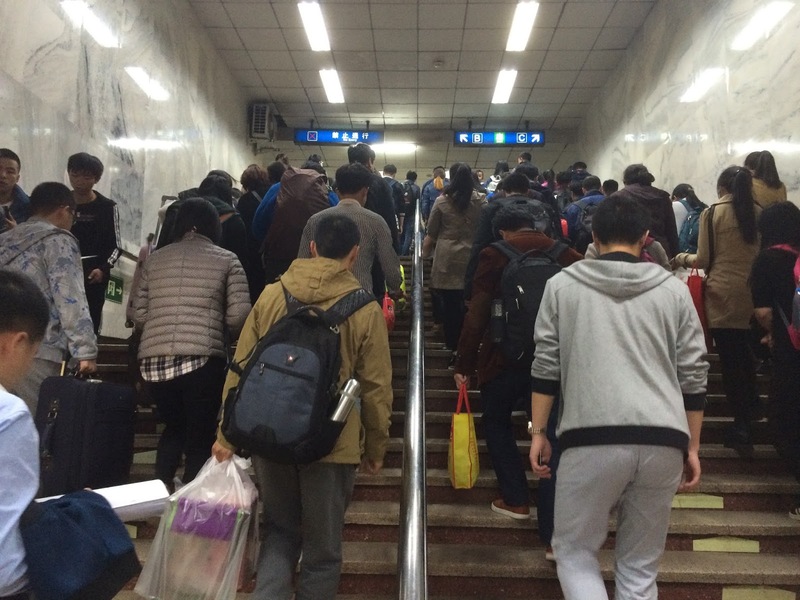 I cannot tell you how frustrated I am with the shoving and pushing in the Hong Kong subways. 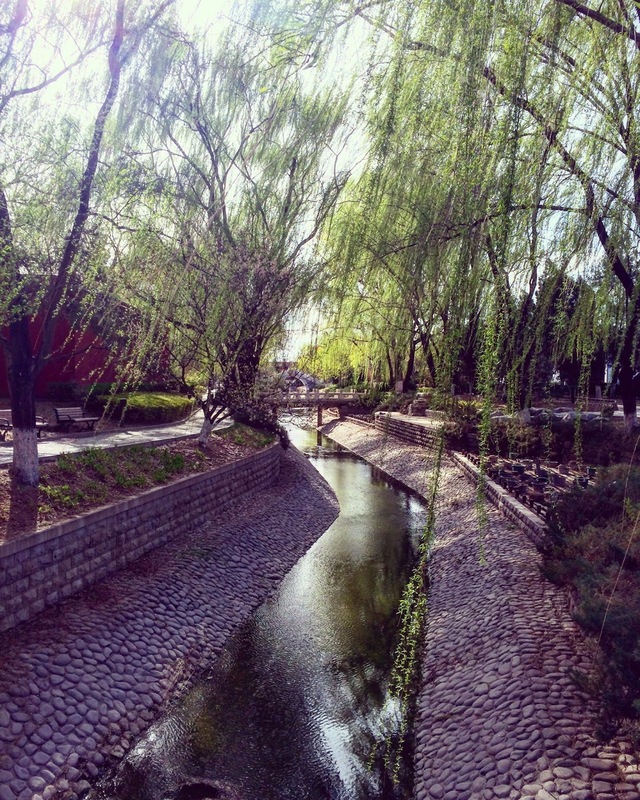 Beijing was refreshing. 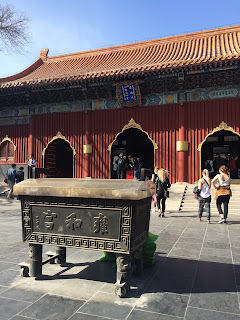 First I went to the Lama Temple. It’s a really old Tibetan temple. It looked really similar to the temple I went in Mongolia. All I can say is everything in China is big, meaning the land mass. I don’t know how many gates I walked through and how big the temple grounds were. It was also a windy day, so no incense burning were allowed, I guess that’s also good for the environment. Each of the buildings in the temple grounds had a different purpose where people prayed for different things such as health, prosperity, and safety. I attempted to go to the Royal palace, but it closed at 4pm! Everything closes at 4pm in China. So I just walked along the East side’s small roads with a lot of souvenir shops and food stalls. Things were still quite cheap despite the fact that it's the capital. 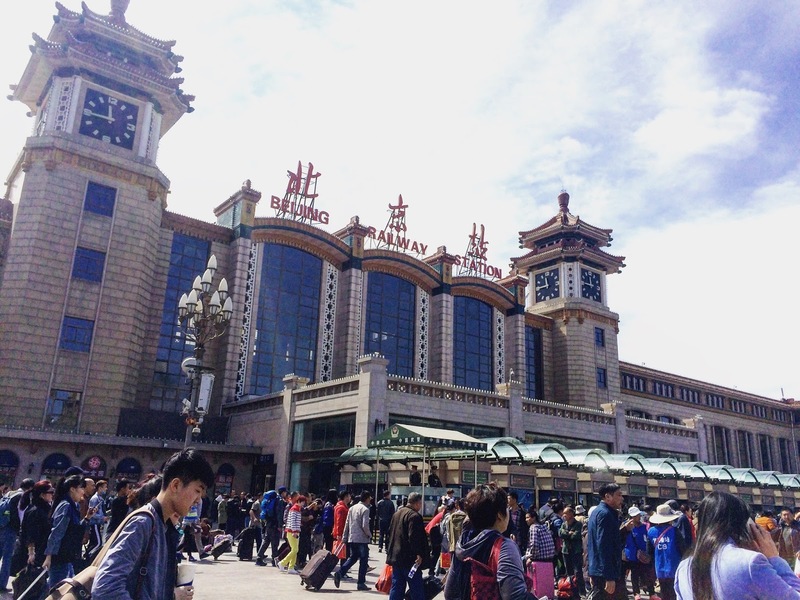 You can buy almost everything here, traditional Chinese clothing, pork buns, sunglasses, day trips to the Great Wall and so on. I eventually ended up at Tianmen Square which is south of the Royal Palace. Again, it is very enormous and spans across an area you would use square km to count. It's capacity? 600,000 people. Too little for China probably. Took me ages just to walk to the center for a panorama picture. It was also very clean, I didn't see any trash at all. Since most places where you need tickets to go into are closed, I just went back to the hotel. Plus I had to wake up at 5am the following day to go to the great wall. I bought some things at the mall’s B1 floor shops. There was a “miniso” which is a Japanese style shop that sells inexpensive everyday items. I got a pair of sunglasses, nail clippers, and make up remover. Beijing main station was lit up when the clock stroke 10pm. Time for some beauty sleep.